September marks the end of summer and the start of fall. Make the most of the change in seasons — and the start of the school year — by filling your weekends with family fun. Need a few ideas? We’ve got your plans all ready! From nearby festivals to farther away adventures, mark your calendars. Here are our suggestions for activities to keep your crew busy every weekend this month — and even beyond. 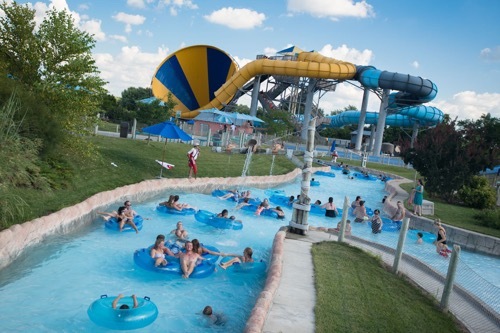 Your kids may have been to the Columbus Zoo and Aquarium, but what about the 22-acre water park, Zoombezi Bay, that’s attached to it? Labor Day weekend will be your kids’ last chance of the season to race down the Python Plunge, a raft ride mixed with a rollercoaster, and the Dolphin Dash, where you can race another rider. My kids enjoy that you can venture back and forth between the water park and the zoo. Fuel up after a water-logged day by going just a few minutes south to Los Guachos, an authentic Mexican restaurant known for its pork tacos (ask for al pastor). The meat is marinated in a mild chile mixture before being cooked on a rotator with pineapple juices dripping down. Tacos are just $1.50 and they also have cheese quesadillas for the picky eaters in the family. If you go, we usually opt to stay in Dublin, which has plenty of hotels from which to choose (hello, Marriott rewards points!). Look ahead to fall weekend fun the rest of this month, too!